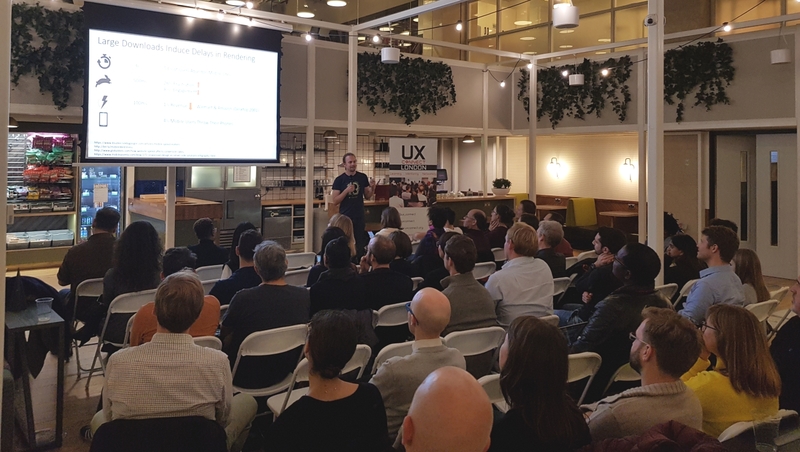 UX meetup group connecting user experience professionals and enthusiasts in London. Currently Accepting Partners and Sponsors. Would you like to sponsor any of our events? We would love to hear from you. Kindly drop us a message below. 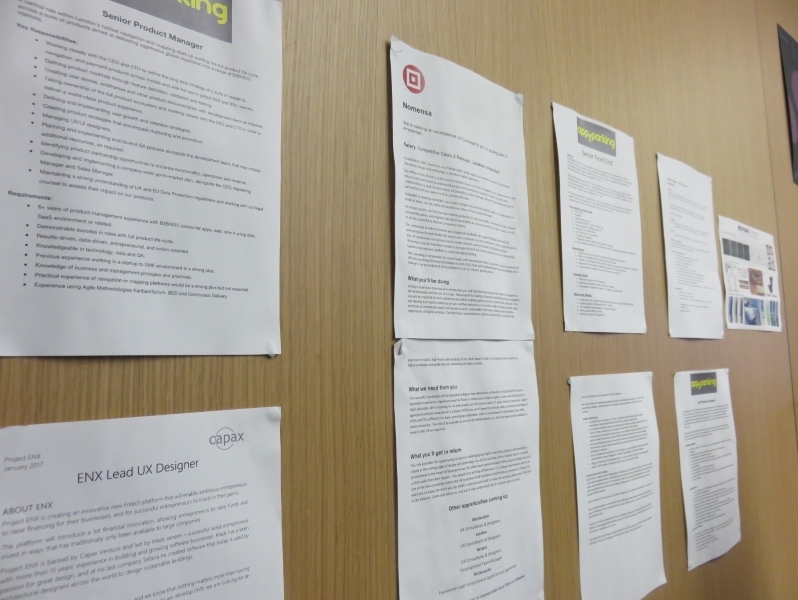 Are you an expert and passionate about User Experience? Do you wish to impart knowledge and share your story with the community? 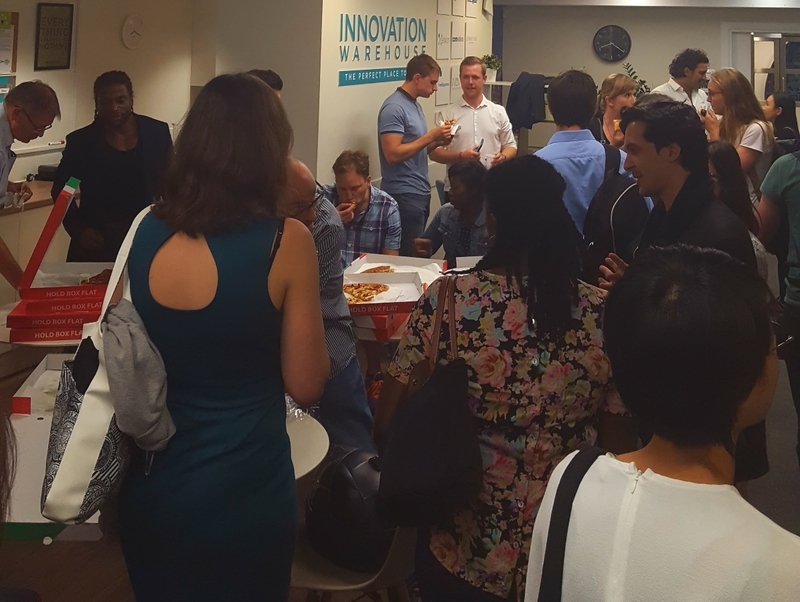 Do you have a great idea for an event to promote learning and networking? Then see our associate scheme where you even get paid organizing events with us. 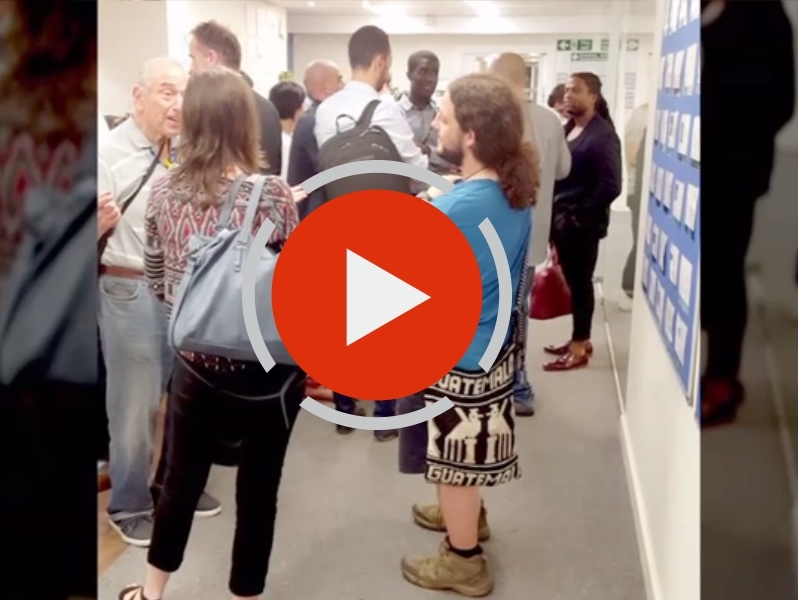 Got a great idea for an event to promote learning and networking? 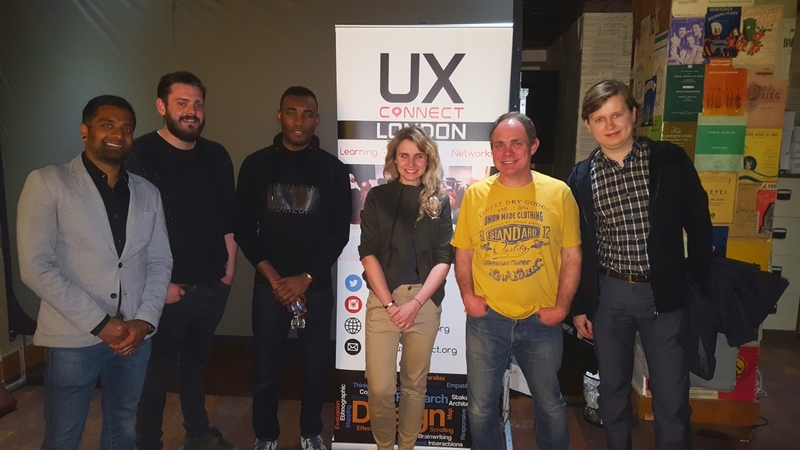 UX Connect London is a unit of UX Connect Global, committed to hosting engaging, entertaining and educational meetup events in London for those in and interested in User Experience with the aim of making the field more accessible, understood and refined. 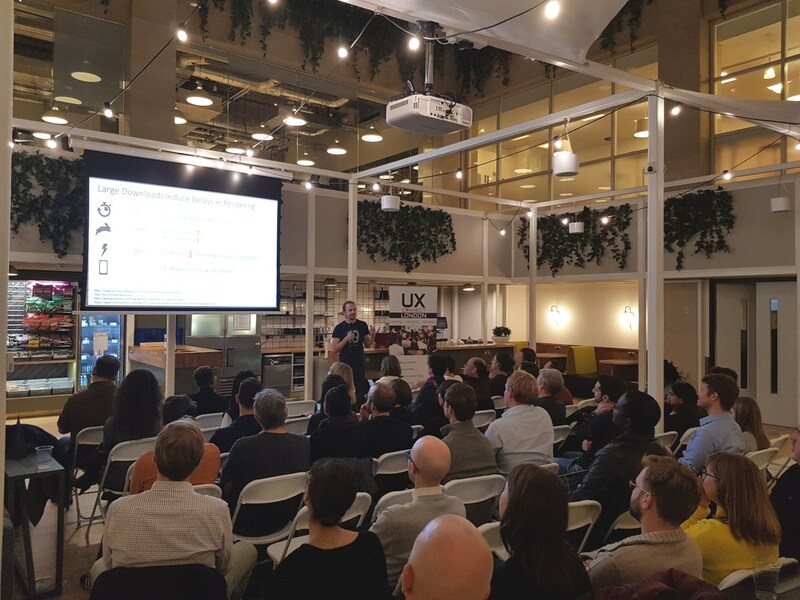 We organise events and sessions around mentoring, networking and learning of digital experience design to educate, inform and inspire UX'ers. 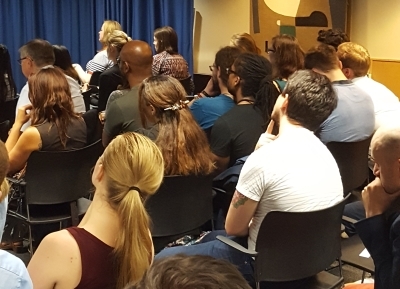 Our wonderful community welcomes all levels of usability professionals and stakeholders including UX Designers, Visual Designers, User Researchers, Interaction Designers, Content Strategists, Information Architects, Usability Testers, Scrum Masters, Product Managers, Copywriters, and UX enthusiasts at large to help accelerate their career and build a support network. 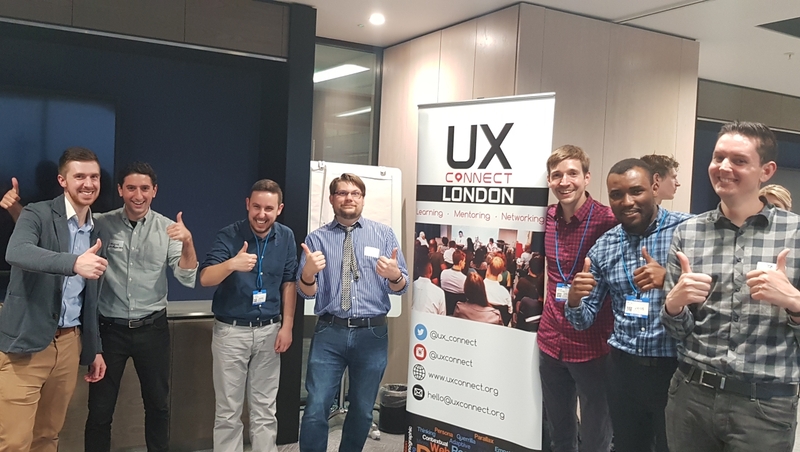 Find out more about our regular meet-ups in London at https://www.meetup.com/uxconnect/ and follow us on Twitter: @ux_connect to stay up to date on future events and all things UX. 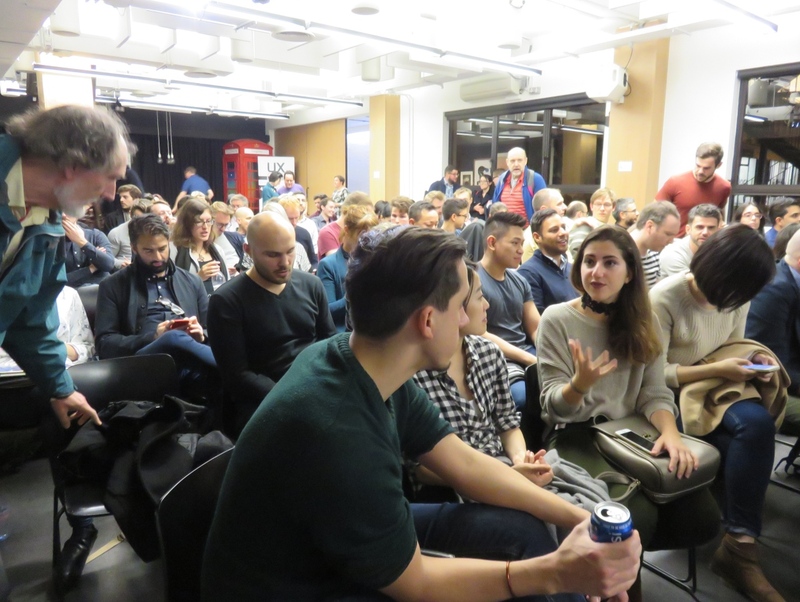 Gallery of our meetups and interviews. We’re undergoing some changes in 2018 and we need your support to continue our work! 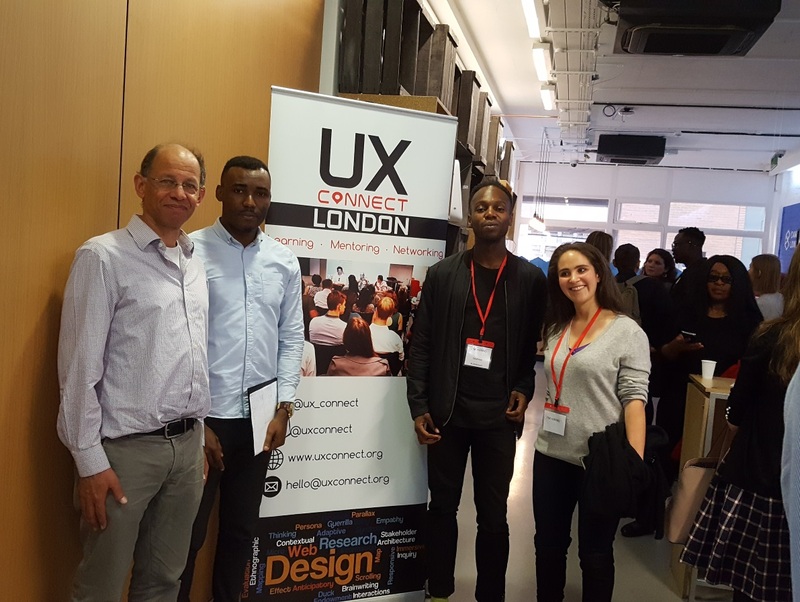 We aim to build an inclusive community where people can meet, learn and discuss about design and digital product usability in person. ~60 minutes a month on group chat to discuss events, organize activities, and provide strategic support. ~2 hours a month to host events and support our operations in person. There are no stringent rules or requirements and you do not have to come and help at all our events, although that would be great. 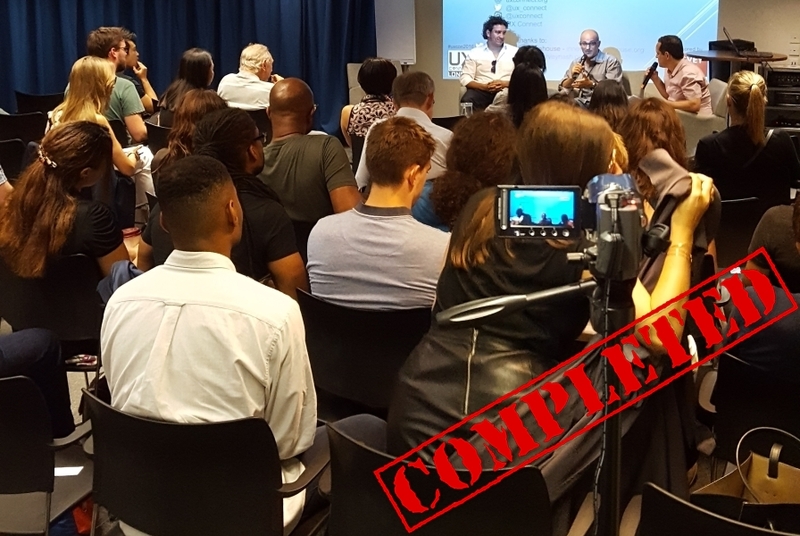 We are flexible and you can contibute in other ways such as by moderating or speaking at our events, video-capturing our events, supporting us remotely on technical work such as design, development or video edit in an efficient and reasonable manner. Other open positions include Admin, Welfare, Marketing, PR & News. If you have any questions, please get in touch with us below. You can also contribute to the community with cash donations to help us keep going or by donating equipment such as video cameras, AV, amplifiers etc. that can aid the quality of our events. A free space for venue would also really help. Kindly contact us below if you're feeling lucky. We'd appreciate your generous contributions. Play an active role in shaping the local creative community and be part of our fast-growing group. 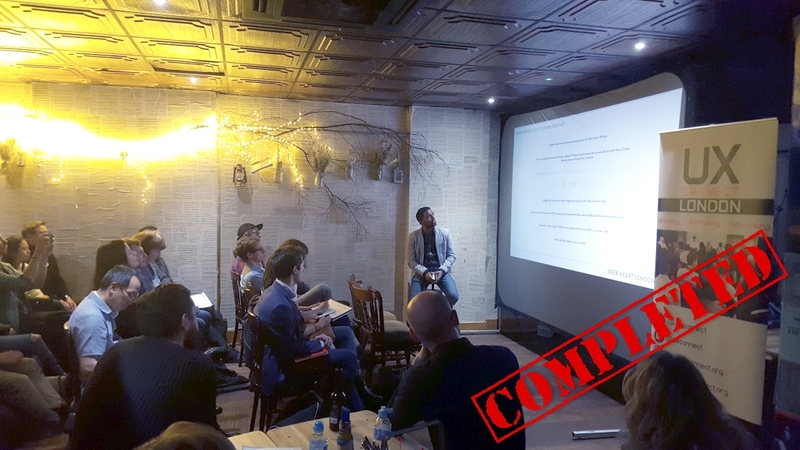 Write us below if you wish to speak at our event, become a partner or make general inquiry. 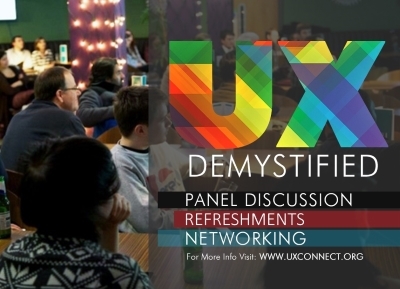 A panel styled event to host 3 UX experts (see speakers below) for a discussion on a broad range of burning and relevant issues that UX folks and newbies seek to figure out. Questions will be answered from the audience as well as giving recommendations, advices and suggestions. It will be preceded and wrapped up with refreshments and networking. Wish to join our team as a co-organizer? Then head over here. 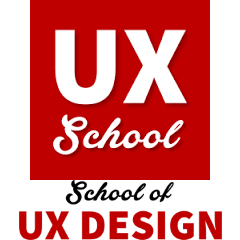 A panel discussion with 3 UX experts on misconceived and possibly controversial UX matters that puzzle the industry. It will be intense and thought provoking. Questions will be answered from the audience as well as giving recommendations, advices and suggestions. 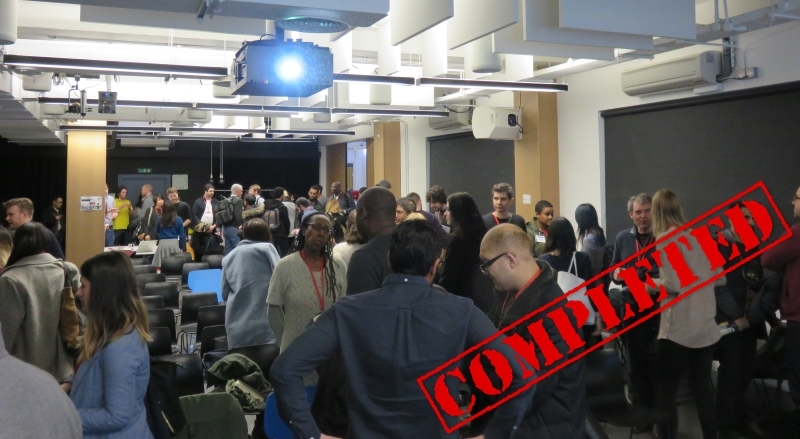 It will be preceded with a fun and interactive design troubleshooting activity and wrapped up with refreshments and networking. 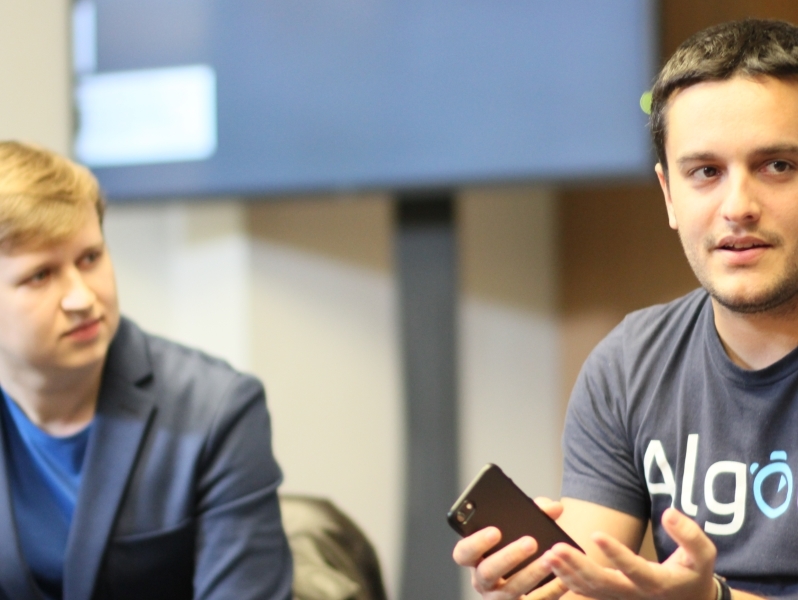 Lucas Cerdan, Product & UX Specialist at Algolia with over 4 years industry experience in digital product management. 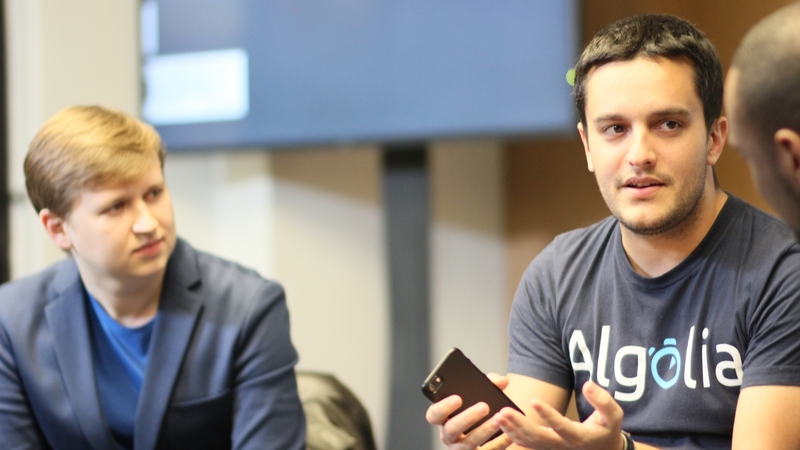 Algolia has developed a Search API that enables companies to build search with very little effort on back-end and the smart engine helps power some of the best apps on the market such as Periscope (won Apple's App of the year 2015) and Anghami (ranked one of the best apps in 2015 by Google). Sergei Golubev is a pixel-perfect UX/UI Designer and co-founder of School of UX Design, London. 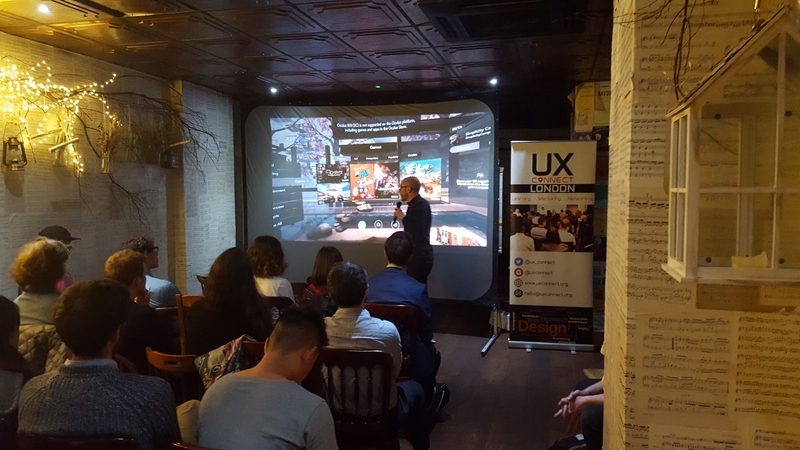 He has over 10 years of design experience working with FTSE 100 companies like Microsoft, Heathrow, British Gas as well as numerous startups. He mentors at MassChallenge and StartUp Britain. Courtney Mclean, UX Designer at British Airways and Consultant with over 8 years of experience. He is currently improving customer journeys across a range of products over at British Airways. A little bit before that he led and built a digital design team at Hogarth Worldwide, delivering work for a wide range of clients such as Nike, Dyson, Santander, Seat and more. Position yourself for growth in 2017. Build a team, Get stuff done! 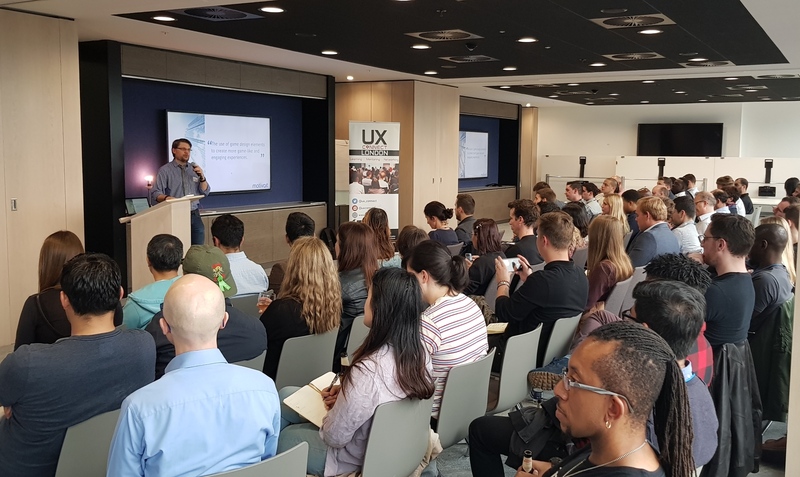 Startups looking to hire UX practitioners with pay or equity share, as well as UX freelancers, consultants and contractors looking for new opportunities, this is the event for you. 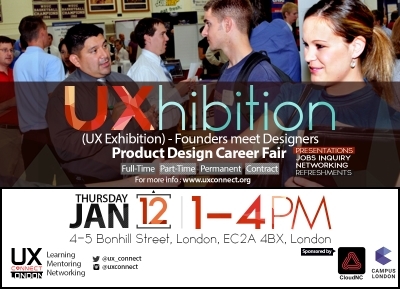 Come one, come all designers from junior to senior level to this first-of-its-kind UX talent exhibition + founders networking. Get to hear startups pitch their ambitions, product values and desirable candidate spec, likewise designers showcase their portfolios. If you are a designer, equip yourself with energy, passion and hope to attend. You could be joining the next industry winning team or become co-founder to a million-pound project. If you are a startup executive or employer, then skip the recruiters, stack of CVs, minimise stress and probably let the chemistry do the rest. It could be gel-ling at first meet. 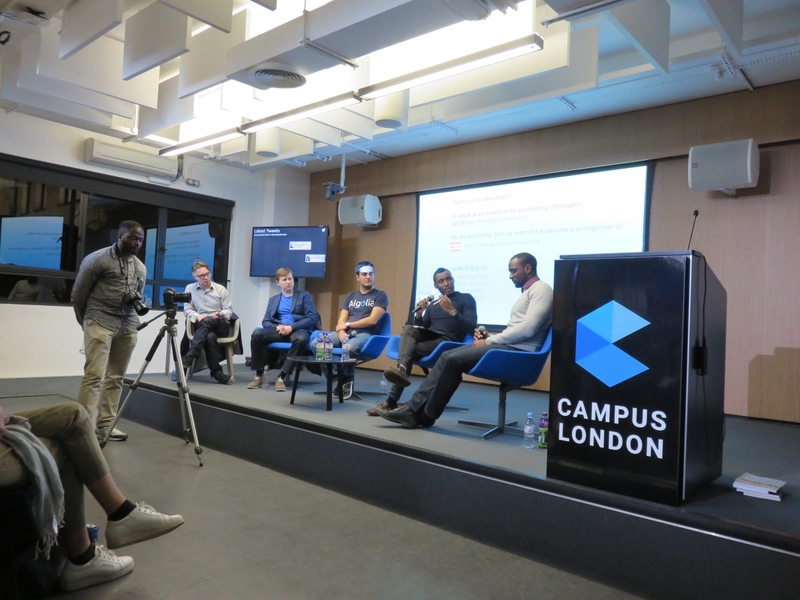 If you're hiring as an employer, looking to team up with a designer as a founder, or wish to speak on a relevant topic, please click here to register your interest so we can provide you a fulfilling experience. Recruiters are welcome. Slots are FREE but limited, hurry and book the last few. 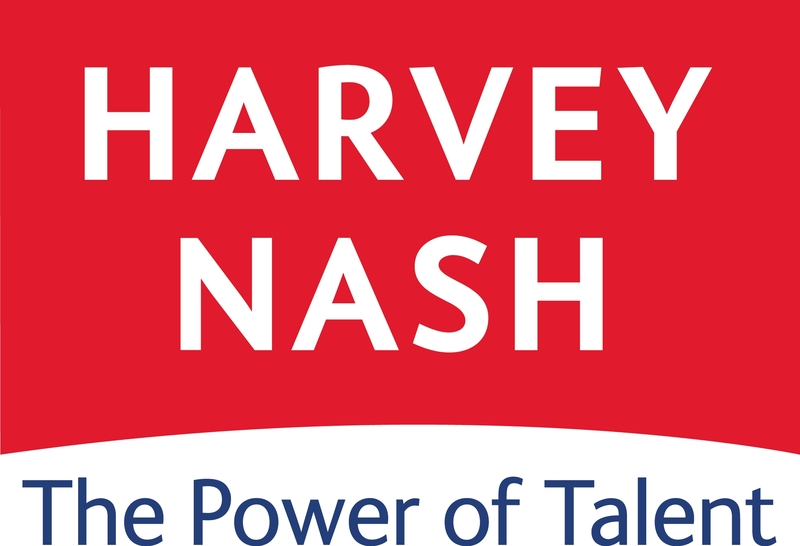 Additional sponsors, speakers, and featured startups are to be confirmed and announced soon. For sponsorship information, write us via the Contact Us form. Follow us on Twitter to stay updated. We invite you to a night of networking and discussion on the design and usability of... technologies that are just beginning to break out of an emerging state and stand to have substantial disruptive potential across industries; technologies that will have the biggest impact on your ability to win, serve and retain users whose expectations of service through technology are only going up. 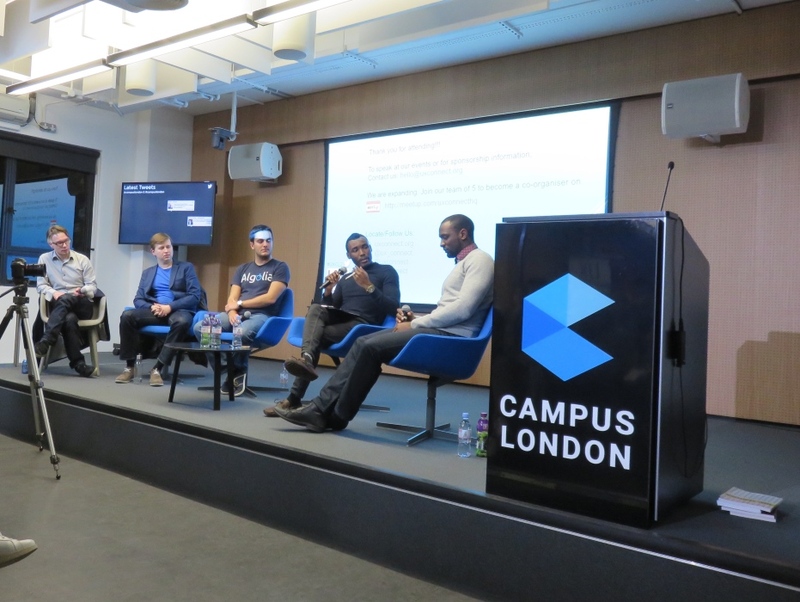 This discussion will be useful for User Experience professionals, students and enthusiasts; entrepreneurs, startups and established companies; technologists and investors who want to be informed of emerging user interfaces that offer new feature sets for interacting with computing experiences; beyond point, type, and touch. Intelligent systems that learn, adapt and potentially act autonomously rather than simply execute predefined instructions. Intelligent Apps that use Artificial Intelligence (AI) with a focus on advanced analytics, autonomous business processes and conversational interfaces. AI & Advanced Machine Learning systems that understand, learn, predict, adapt and potentially operate autonomously. 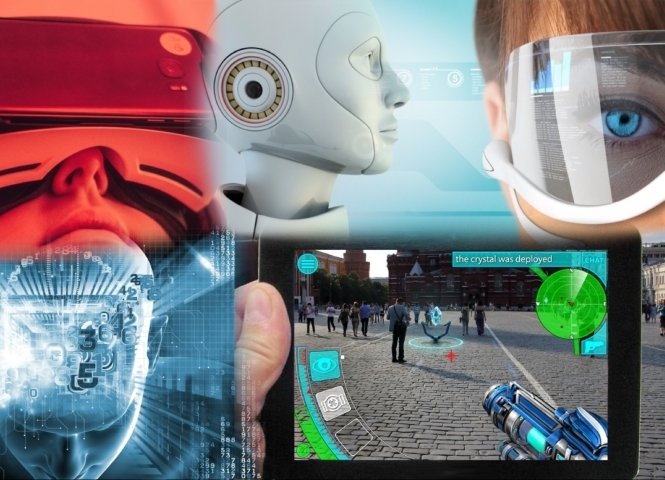 Virtual (VR) & Augmented Reality (AR) systems that transform the way individuals interact with each other and with software systems creating an immersive environment. Digital twins of physical assets that could combine with digital representations of facilities and environments as well as people, businesses and processes to enable an increasingly detailed digital representation of the real world for simulation, analysis and control. Conversational systems that shift from a model where people adapt to computers to one where the computer “hears” and adapts to a person’s desired outcome. Adaptive Security Architecture of applications or IoT solutions that apply user and entity behavior analytics to multilayered security, in line with the dynamic privacy and security concerns of our digital world. Tom Szirtes is a VR & Creative Director at Mbryonic, a start-up creator of amazing virtual reality experiences for marketing, entertainment and the arts. Tom's team designs and develops augmented & virtual reality technology solutions that connect brands and artists to audiences in new exciting ways. 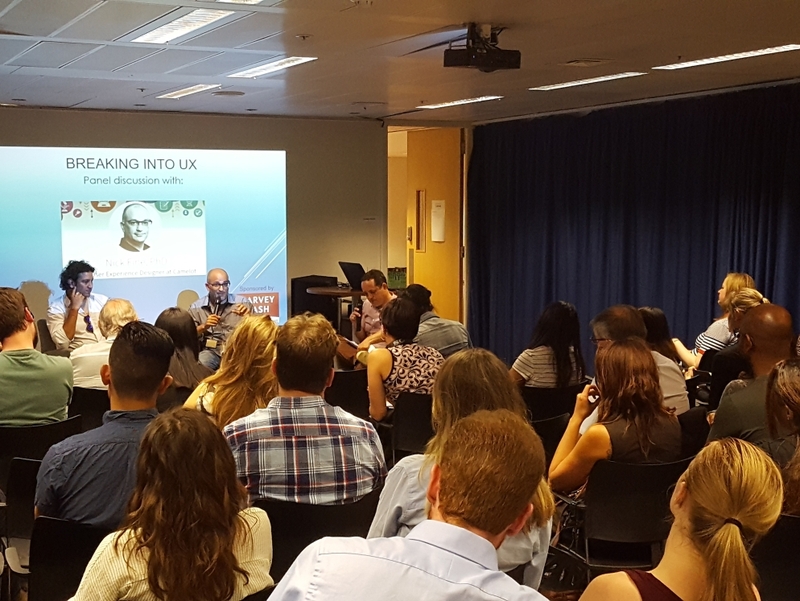 Rod Humby is a UX veteran with 6 years work history as a User Experience Architect at Aviva. His peculiar interest in cognitive science contributes to him evangelising psychological aspects of human to quasi-human interactions, and a conceptual framework to help designers get their heads round conversational technologies with an intent to demystify them a little. 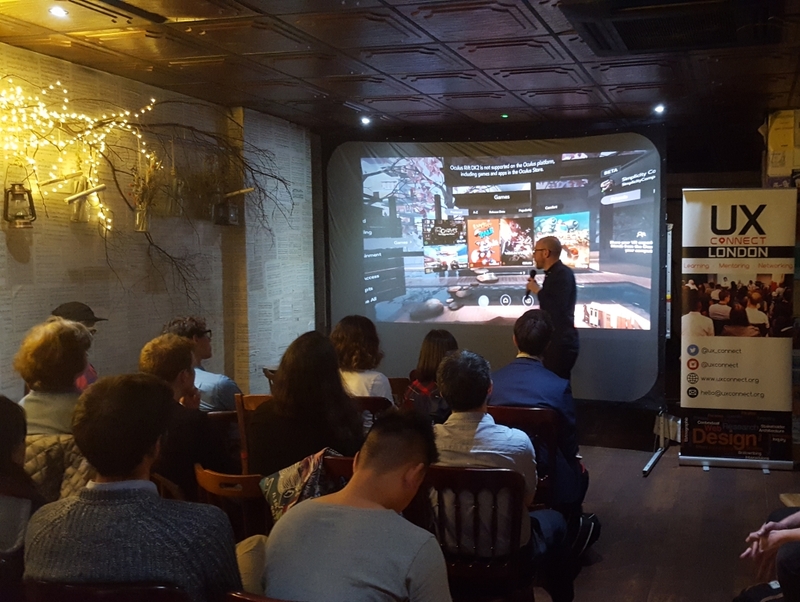 Tommy Howard is the Head Creative at Holition, an award winning digital creative studio specialising in emerging technologies to craft premium 3D digital experiences for luxury marketers and retail specialists. Holition has created several experiential digital projects for brands such as BMW, Louis Vuitton, Dom Perignon, Lacoste, Heathrow, Lyst and Mcqueen. Tommy will be discussing design thinking and management of applying augmented reality to disrupt the retail space. Sanj Surati is a seasoned Digital Creative. His specialty is working with technology to develop new live digital experiences for the purpose of product launches and experiential events. His most notable project so far is being part of the team that delivered the 2Pac hologram at Coachella back in 2012. An initiative that won Titanium at the Cannes Lions. Sanj's team recently worked on Artificial Intelligence Programs that run as Chat bots for retail Fashion Brands and he'll be sharing his story on the evening. Kate Fischer, Lead UX Designer and PM at Icon Incar, has more than five years experience as a designer and engineer. A true believer of Less is More, she always aim to reinvent good design where form meets the function without too much visual chaos. She will be sharing her experience in the area of Automotive Interface Development of which she will talk about How AI will shape the future of human-vehicle interaction; The future of Car Conversational Systems + Digital Assistants + Cloud Computing & Integration for Automobiles. Her discussion will certainly drive our perception about smart cars wild. How much of visual, analytical and empathetic skills are required to craft a compelling and innovative user experience for these technologies? Do they necessarily maximize engagement and value? Does immersion always translate to engagement, then conversion? Would they provide richer insights for analytics? How can you leverage them to manage business integration or improve your business process and value offering to become more user-aware, user-led, insights-driven and efficient? Get to find out! Tags: IoT, Chatbots, Digital Assistants, Semantics, Robotic Process Automation, Augmented Reality / AR, Virtual Reality / VR, Artificial Intelligence / AI, 3D, HUDs, Intelligent Apps & APIs, Big Data, Cloud Computing & Integration, Advanced Machine Learning, Blockchain, Wearables, Service Architecture, Platform-as-a-Service / PaaS. For sponsorship information, kindly write us via the Contact Us form. 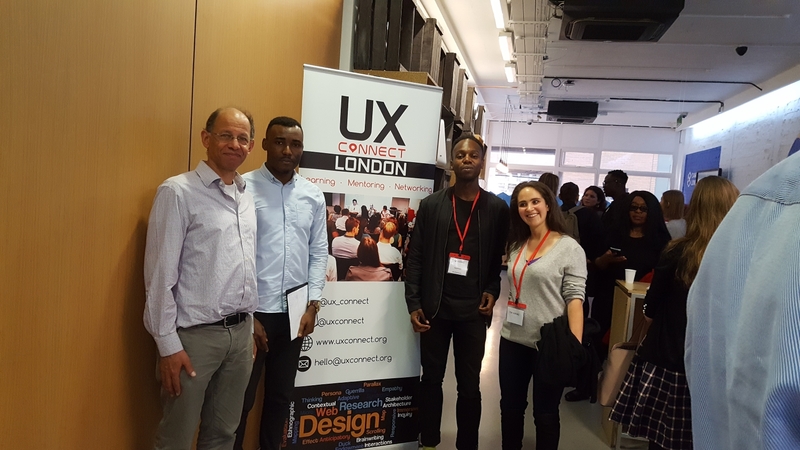 Follow us on Twitter: @ux_connect for updates and all things UX. Would you like to volunteer for us? We could do with your help. Learn more/join our volunteer group here.. Position yourself for growth in the 2nd half of 2017. Build a team. Join a team. Get stuff done! 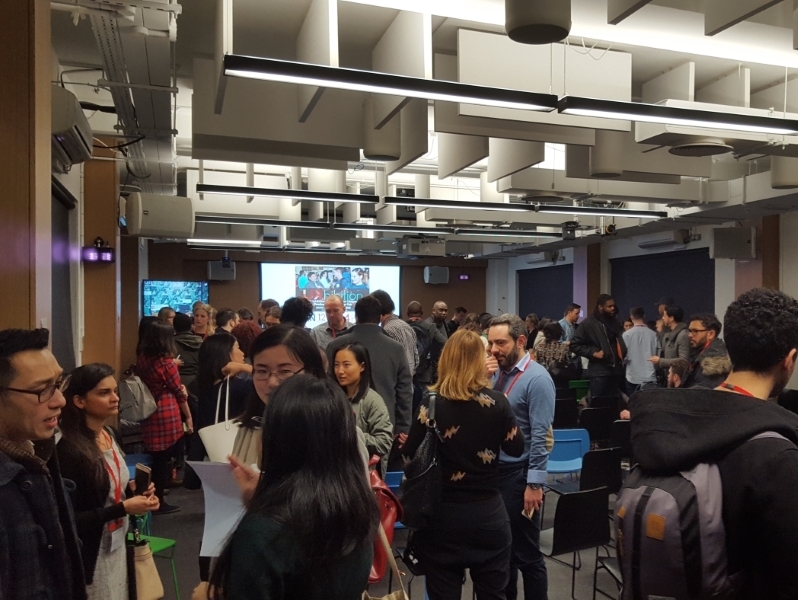 UXhibition 1 was a success with incredible connections made and new job opportunities grabbed. So we are encouraged to organize another episode. 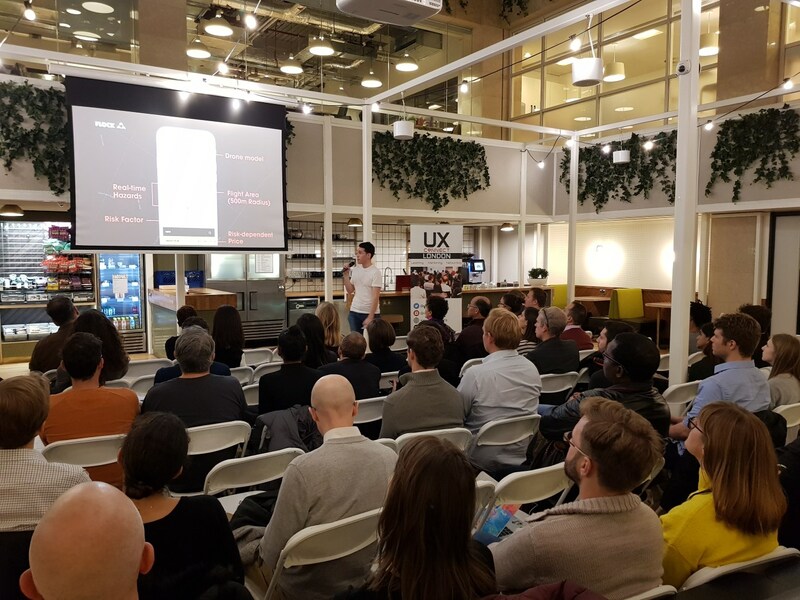 Startups looking to hire UX practitioners with pay or equity share, as well as UX freelancers, consultants and contractors looking for new opportunities, this is the event for you. 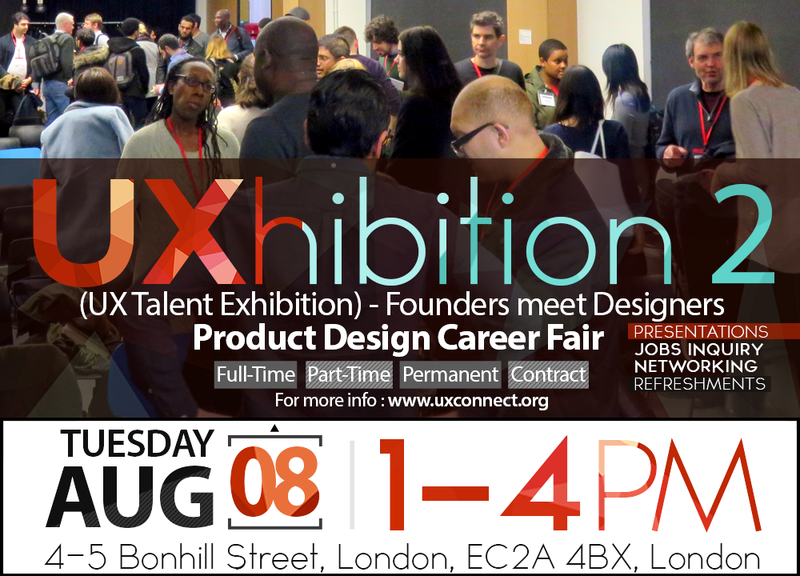 Come one, come all designers from junior to senior level to the second episode of our UX talent exhibition + founders networking. 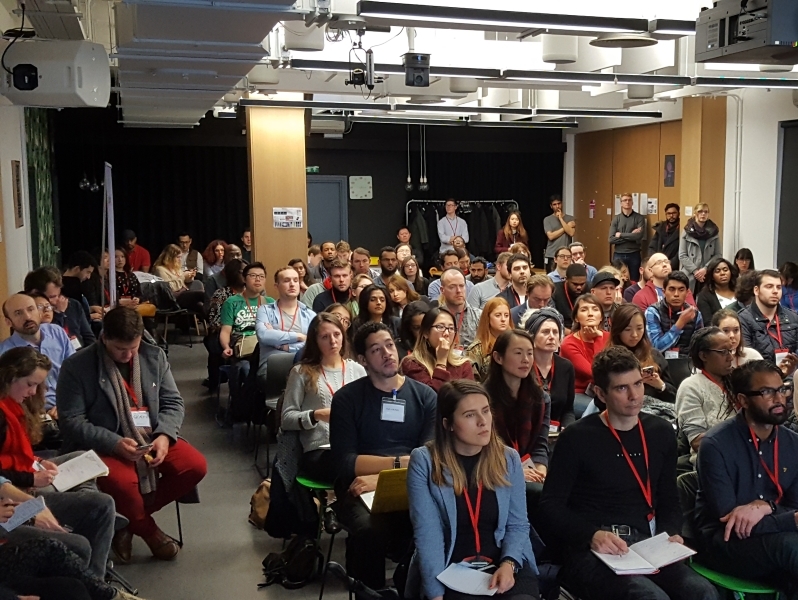 Get to hear startups pitch their ambitions, product values and desirable candidate specs, likewise designers showcase their portfolios. If you are a designer, equip yourself with energy, hope and passion to attend. 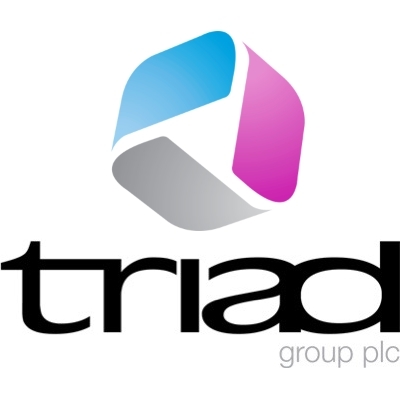 You could be joining the next industry winning team or become co-founder to a million-pound project. For employers, skip recruiters, stack of CVs, minimise stress and probably let the chemistry do the rest. It could be gel-ling at first meet. 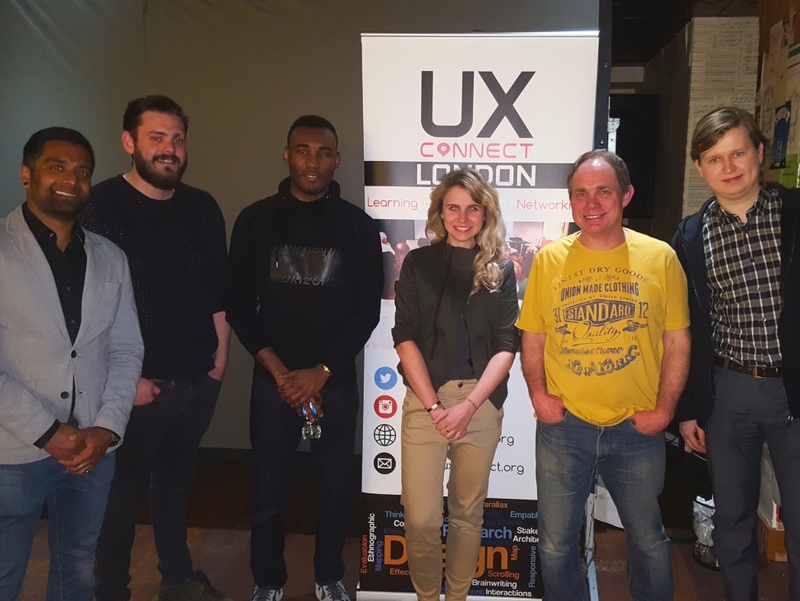 If you're hiring as an employer, looking to team up with a designer as a founder, or wish to speak on a relevant topic, please follow this link http://london.uxconnect.org/partners/ to register your interest so we can provide you a fulfilling experience. Recruiters are also welcome. Slots are FREE but limited, hurry and book now. 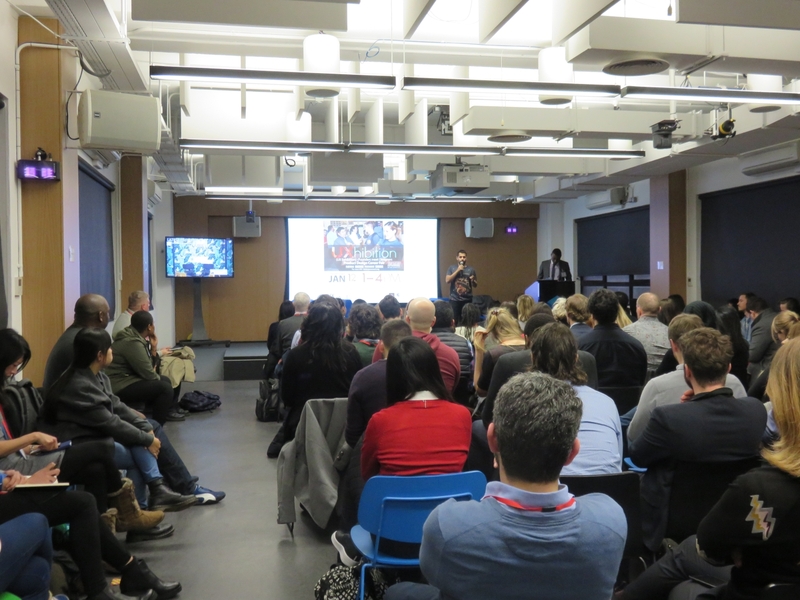 Featured startups, the agenda, speakers, more employers and sponsors are to be confirmed and announced soon. Please check back later. 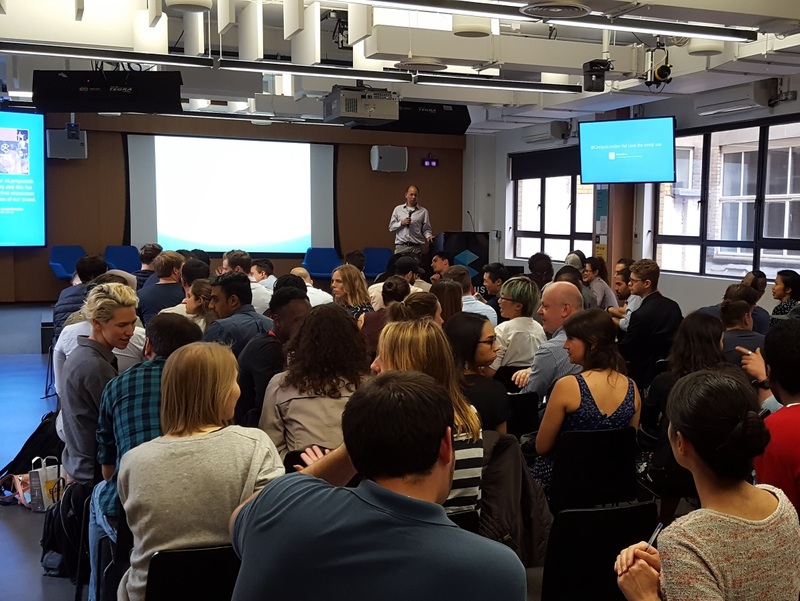 Follow us on Twitter to stay up-to-date and for all things UX. Black HUX Down! We got a Black HUX Down!! Come join us for a full day of paintball action! 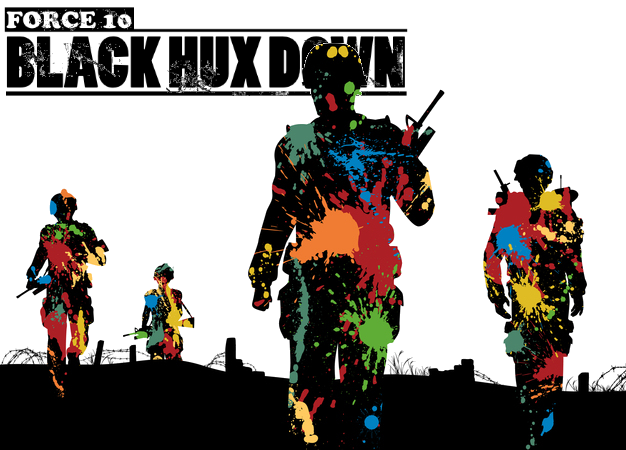 Inspired by the award winning movie Black Hawk Down, we are hosting the first of its kind UX Paintball Experience with Force 10 in North London this fall. 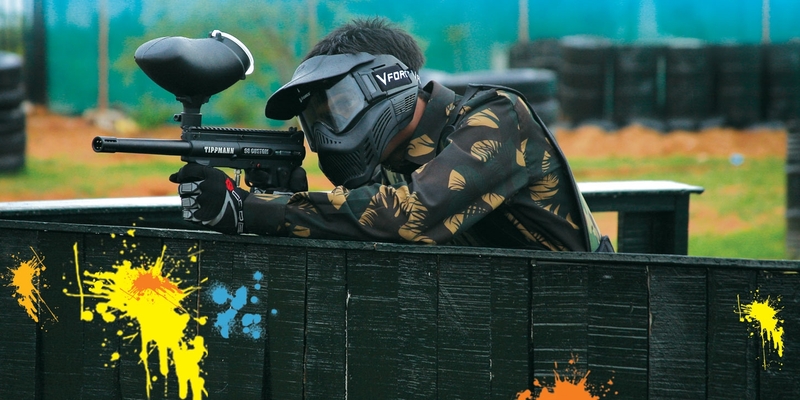 Paintballing is a great way for you and your friends or workmates to share the same great drama, adrenaline rush, and above all life-long memories that will bring you all closer together as a unit. It can also be a great way to improve communication, encourage collaboration and promote teamwork. Teams will be formed and in order to succeed, the winning team will need to work together to develop tactics and strategy to outwit their opponents. While you're having fun on the battlefield, you’ll be developing valuable transferable skills including leadership in a highly stressed environment, and problem solving – skills that are essential in any line of work. From start to finish you’ll have a seamless, top quality experience talked about for years to come. What could be more fun than paint-balling your way through your favourite Hollywood movie set? 16 Movie Style Game Zones at one of the best UK paintball venues including the famous COD Map Bog - a full to scale Call of Duty replica playing area with a real Russian T55 tank, containers, buildings, bus, land-rovers and fuel drums; the Speedball - Fast paced speedball field based around a huge crashed helicopter. Cover, move and shoot around the rows of hay bales in the electric football pitch sized, flood-lit area; the Missile Command - A favourite packed with features including a huge cold-war Missile Lorry carrying a nuclear war head, Saracen armoured personnel carrier, Helicopter and sheds galore; and much, much more. This is a paid event hosted with the #1 paintball site in the UK. Tickets start from £35. 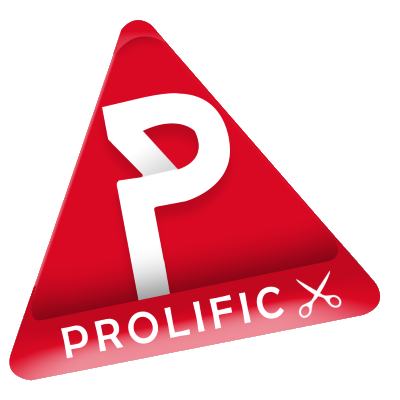 We can together save all users of digital products from the havoc of bad designs, virtually. No one gets left behind! 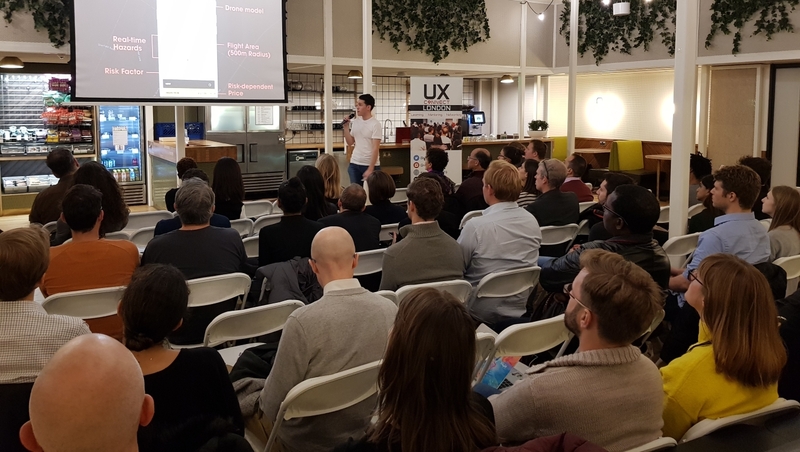 We invite you to a night of networking and discussion on the design principles of gamification with experts in the field. Admission is free, venue & refreshment is sponsored by PA Consulting Group. Gamification or Gameful Design has been an increasingly popular approach for improving the user’s motivation and experience when interacting with digital applications. As a result, the number of gameful designers has been steadily increasing in the past years, as well as the reports of successful gamification projects. Today the method of gamification is widely used in design since it is thought to help to solve many problems in UX. 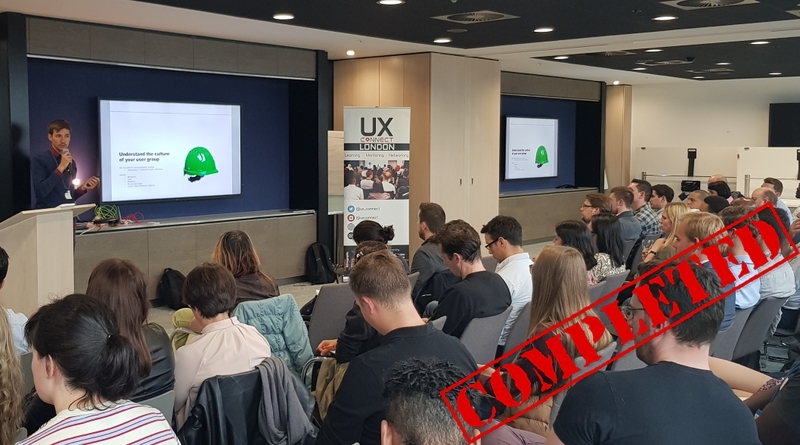 The appropriate use of gamification and well-chosen game mechanics can become a valuable tool for UX designers on the way to increasing user engagement of the product as well as conversion rates. Gamification is defined in HCI as “the use of game design elements in non-game contexts”. Adding game elements to make an interface fun, understandable and enjoyable can improve the user experience. Done right, it has shown to significantly increase engagement and conversion because people are driven by competition, curiosity and a determination to succeed, and these are all elements that can be applied to non-gaming contexts. Problem-solving, challenges, discovery, and immersion are examples of game mechanics that make an experience much more enjoyable. Gamification offers you as the designer a huge array of game mechanics that you can employ in order to make your gamified features fun and exciting for your players. However, it’s important to choose a mix of features so as to support the mission of the business, and in a careful way -- paying attention to the exact needs and nature of what is involved -- whilst ensuring that players aren’t overwhelmed because of too many features. 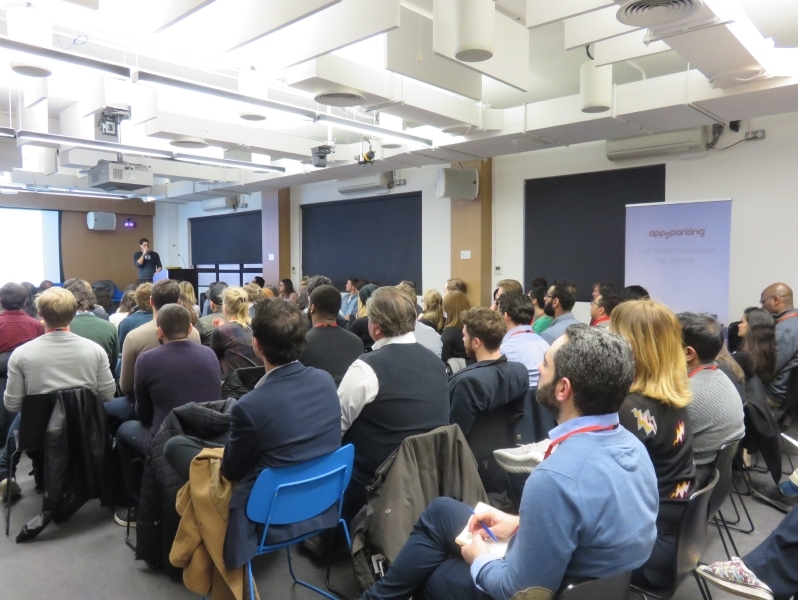 This event is useful for User Experience professionals, students and enthusiasts alike, who wish to be informed on gameful designs for engaging users in strategic ways. Andrzej Marczewski is a Gamification Consultant & Designer. Senior Solution Consultant at Motivait. 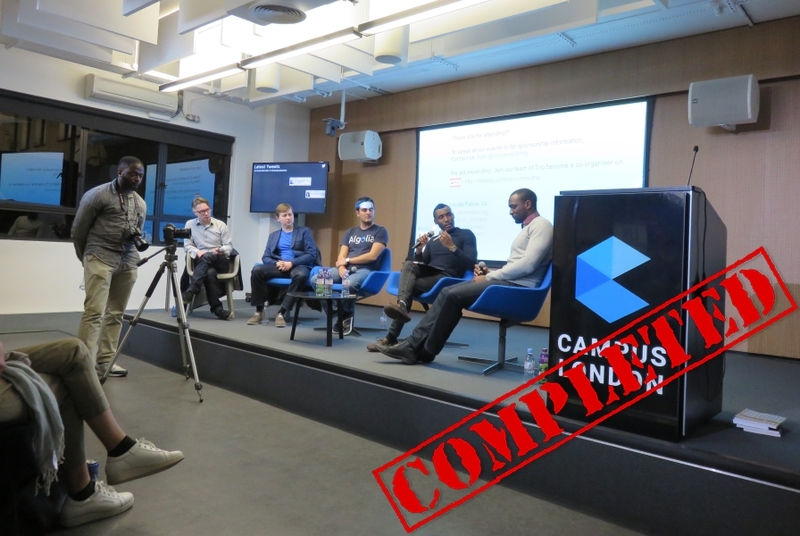 Founder and blogger at Gamified UK. Judge for the 2013, 2014, 2015 and 2016 Serious Play Awards. Keynote speaker on gamification at events including Gamification World Congress 2013 / 2014 /2015, CGCloud, SocialNow in Portugal, Ark Group annual conference and others. Awarded "Best Contribution to the Gamification Industry" at the 2016 Gamification World Congress. Since 2011, he has been involved in all things gamification, has been voted one of the top 3 gamification experts in the world by Gamification World Congress four years running and winning the accolade in 2016. 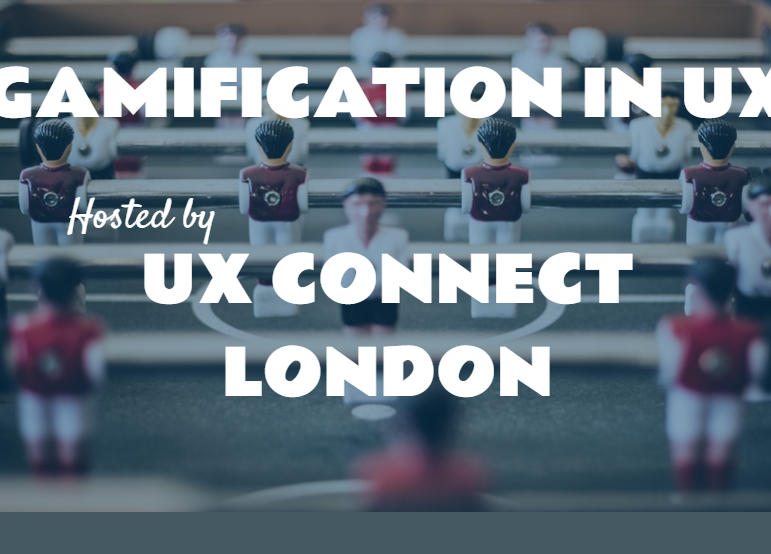 Andrzej will give talk on using gamification to ensure user centric design, considering player type lenses and more. 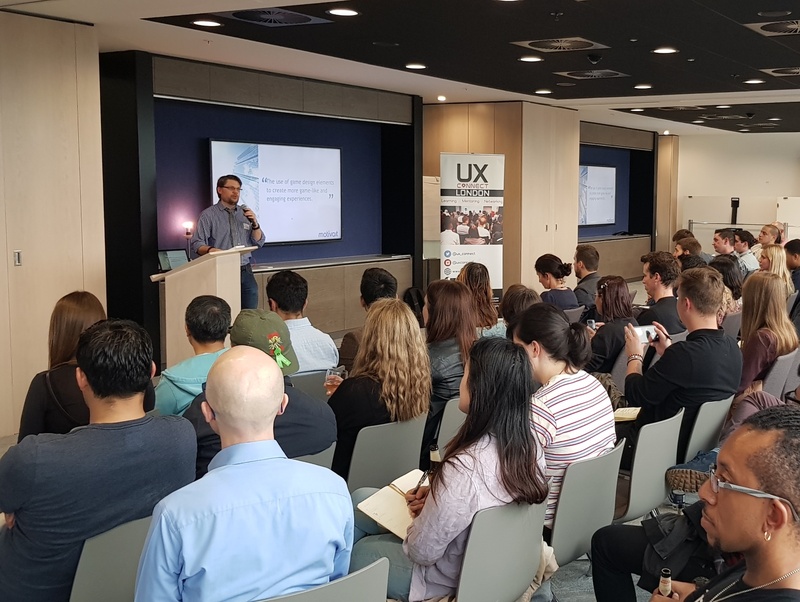 Daniel Meusburger is an Innovation and UX Manager at Accenture, focusing on emerging technology such as mixed reality and artificial intelligence. He has been involved in gamification since 2012 ranging from behaviour change research to enterprise level gamification and international speaking on the topic. At Accenture, he led gamification efforts in Austria, Germany and Switzerland before moving to the UK. Currently, he focuses on the interaction and behaviour design of voice interfaces and virtual agents. 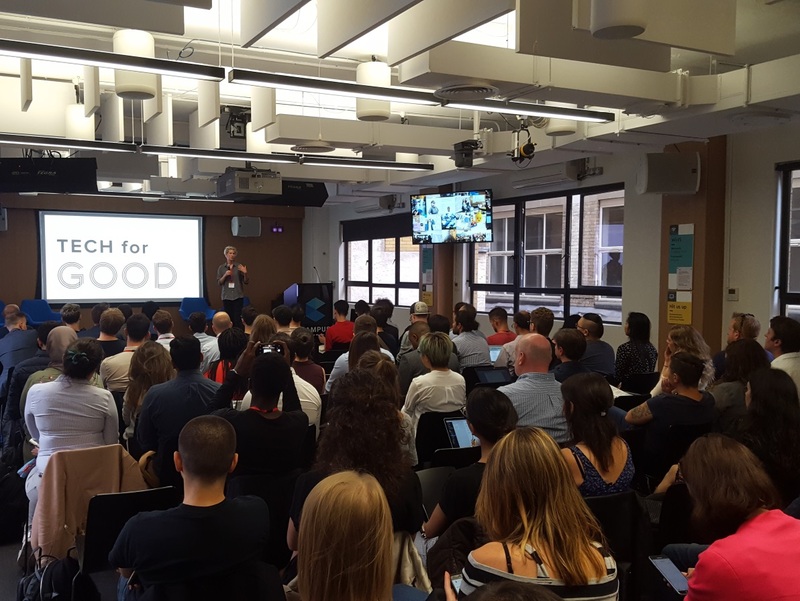 One of his current projects aims to help senior people in the UK live more independently and socially connected (https://bit.ly/2FGglCT). Daniel will be speaking on UX Lessons from Enterprise Gamification Projects with over 300.000 employees. 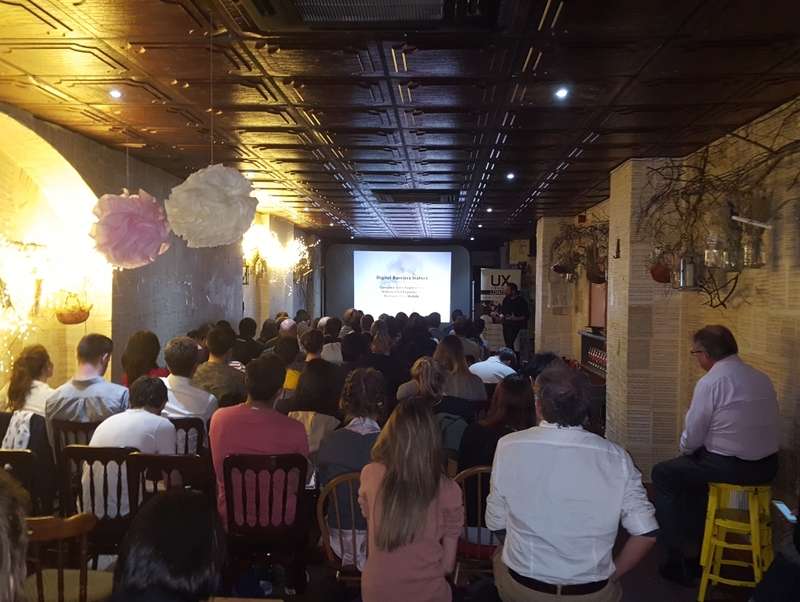 Vasilis Gkogkidis is a gamification trainer working for GAMIFICATION+ LTD, organiser of Gamification Europe, Lego Serious Play facilitator and a PhD researcher at the University of Sussex where he researches gamification, innovation and crowdsourcing. 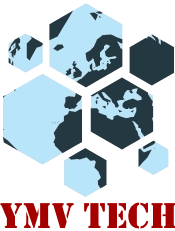 He has delivered gamification seminars in the UK, Thailand, Malaysia, Italy, Turkey, Dubai and Greece. 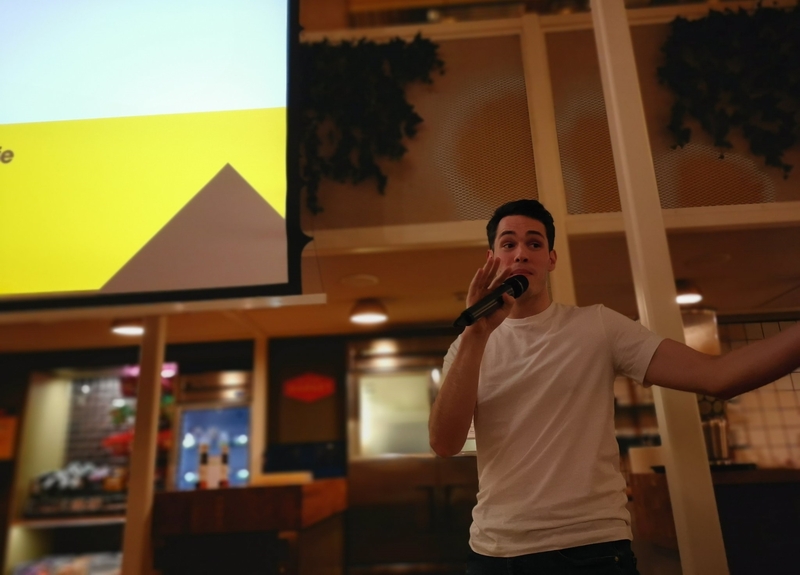 Vasilis talk will explain analysing rules in games to designing rules for gamified systems so that interesting experiences can be created for the players while realising business goals. 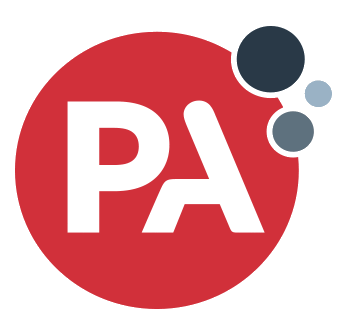 Jacque Qarbozian and  Alex Pritchard are digital consultants at PA Consulting Group. Jacque is a user experience consultant and Alex is a full stack developer consultant. 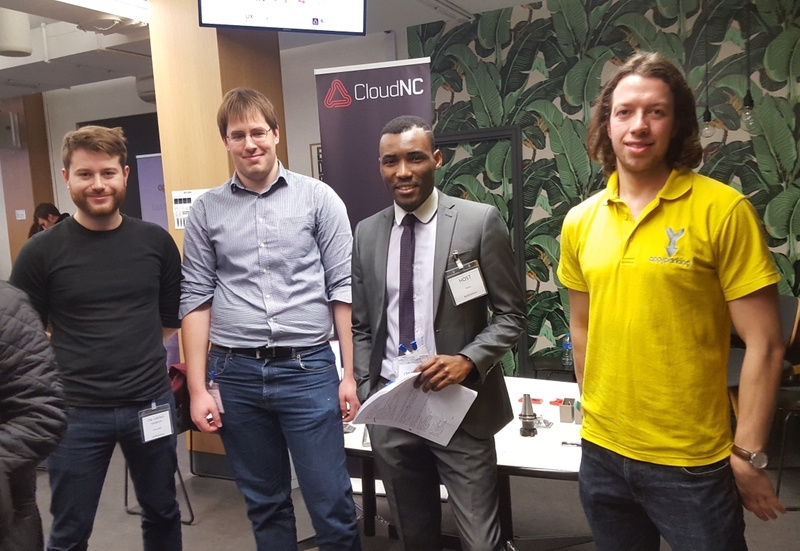 They will be talking through how PAs iLab designed a game to simulate what an IoT ecosystem looks like for the Google Cloud: GCPNext16 event. 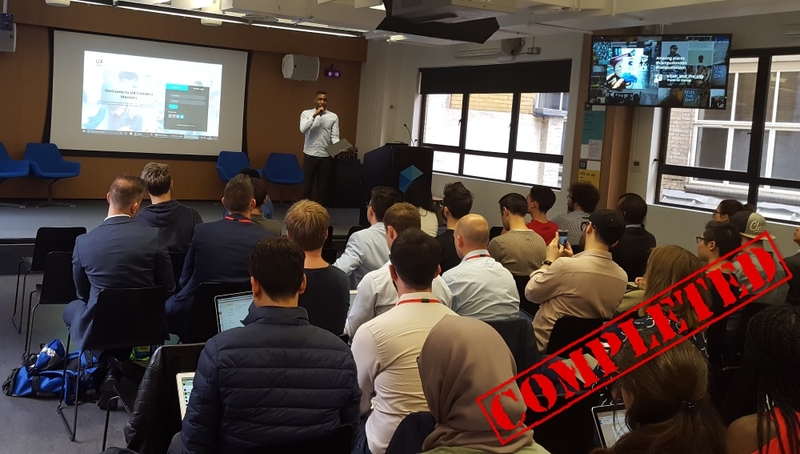 The game demonstrates how smart decisions can be made through the collection of sensor data from connected IoT devices, enabling an organisation to, for example, remotely manage locations more effectively. For sponsorship information, kindly write us via the Contact form. 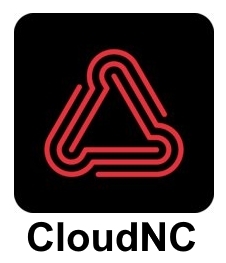 Join our Meetup community here. We invite you to the 2nd episode of our Designing for Emerging Tech. The first which was a success can be found here. The event presents a night of networking and discussion on the design and usability of... technologies that are just beginning to break out of an emerging state and stand to have substantial disruptive potential across industries; technologies that will have the biggest impact on your ability to win, serve and retain users whose expectations of service through technology are only going up. 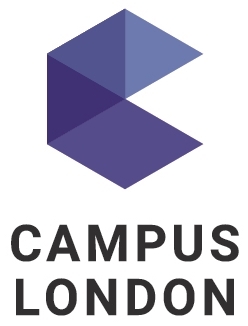 The discussion will be useful for User Experience professionals, students and enthusiasts; entrepreneurs, startups and established companies; technologists and investors who want to be informed of emerging user interfaces that offer new feature sets for interacting with computing experiences; beyond point, type, and touch. 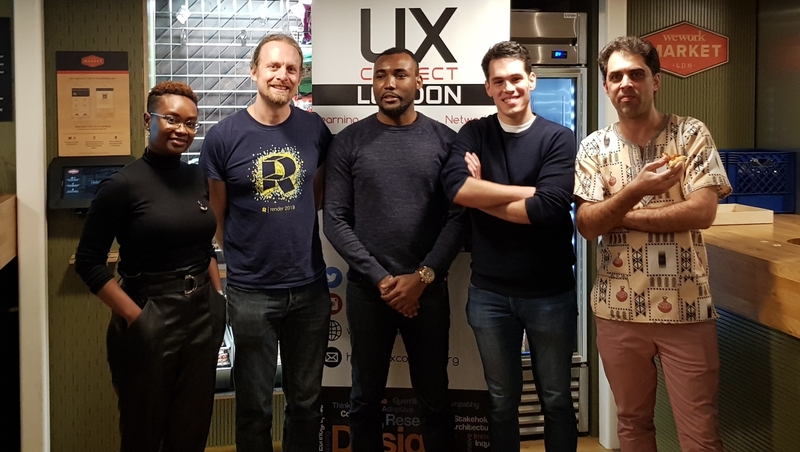 Antton Pena is the Founder and Product Lead of Flock, a London-based, VC- and Government-backed insurtech startup, pioneering the use of Big Data to intelligently price insurance. Flock has formed a global partnership with Allianz, the world's largest aviation insurer, to launch their first product 'Flock Cover': a pay-as-you-fly insurance and safety app for drone pilots. 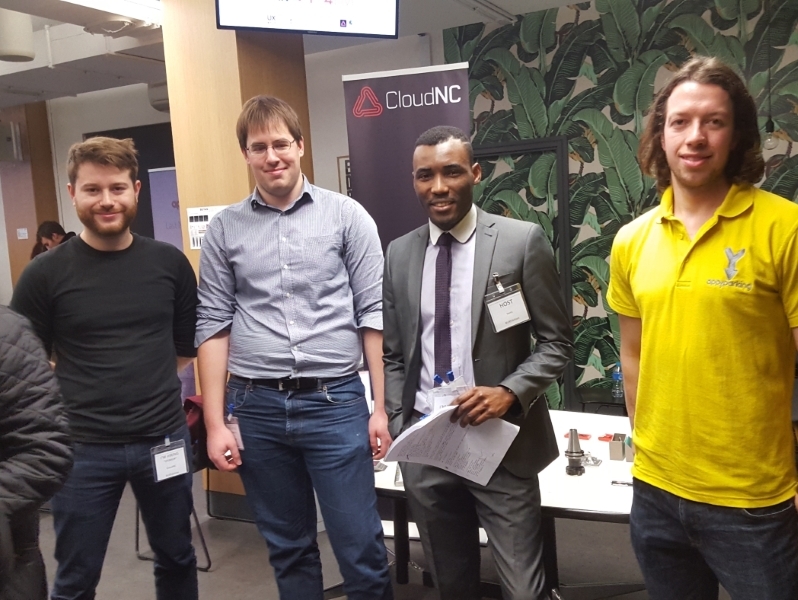 Antton will talk about how at Flock they use data to quantify and minimise the risk of flying robots (drones), powered by sleek and easy to use interfaces that help users understand how to make their drone flights safer. Doug Sillars is a Freelance Developer Advocate/Solutions Architect and a Google Developer Expert. Previously a Principal Architect on Mobile Application Performance at AT&T for a period of 9 years. His book, High Performance Android Apps was published by O'Reilly in the fall of 2015. Doug will discuss two topics including: It's Time To Stop Stalling: Video Streaming Performance and You - How streaming works and how to optimize for the best customer results; and Fast & Beautiful Images - The best ways to build images for all of the screens/devices that are out there. Daniel G. Cabrero is a User Research Consultant at Education & Skills Funding Agency. 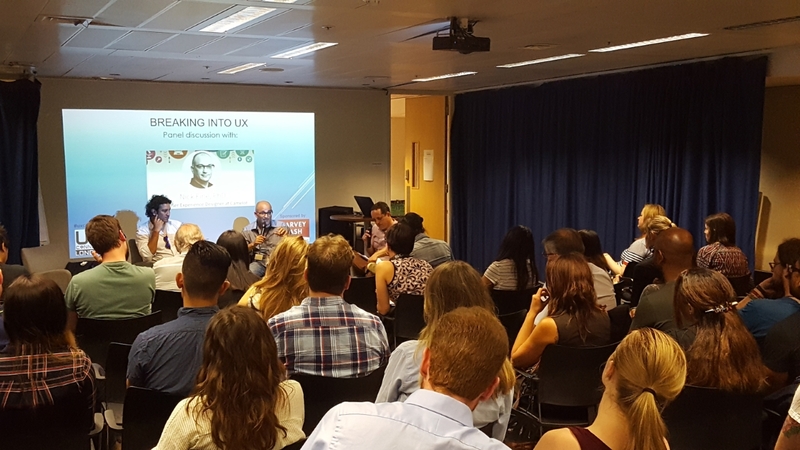 With 20+ years of work experience, Daniel possesses a PhD in Computing, Technology and Sociotechnical Design - Intercultural Communication via Personas, and has studied the persona phenomenon in enough depth to discuss Generating Personas across Cultures: Emerging Tech in Emerging Markets Begins Here. A discussion we deemed important due to (1) the widespread use of the persona artefact in the design of technology, (2) because many of us have used or are using personas at one point of another in our projects, (3) due to the challenges and benefits personas provide, (4) because Daniel has recently carried out -and successfully- defended a PhD thesis on the persona artefact, and (5) because 2019 celebrates the 20th anniversary since personas became mainstream in IxD/HCI. 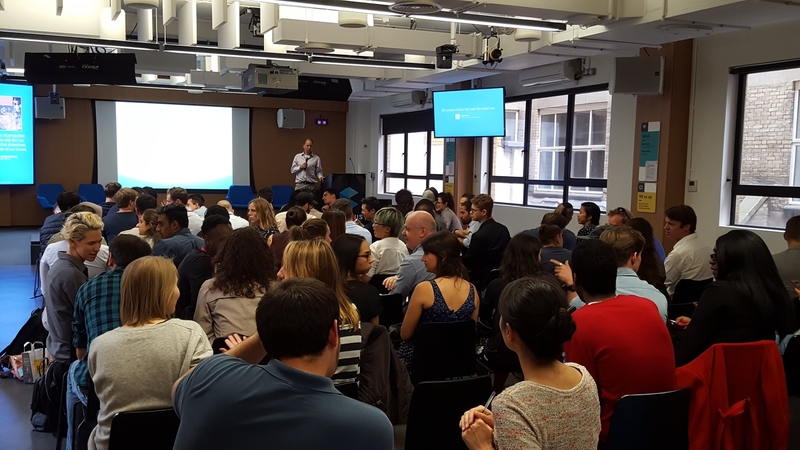 Daniel's discussion will also inform us to consider generating personas together with end-users across cultures via co-design & storytelling as a lean approach that is grounded in qualitative, iterative research. Several of Daniel's publications on the Persona topic is available here. 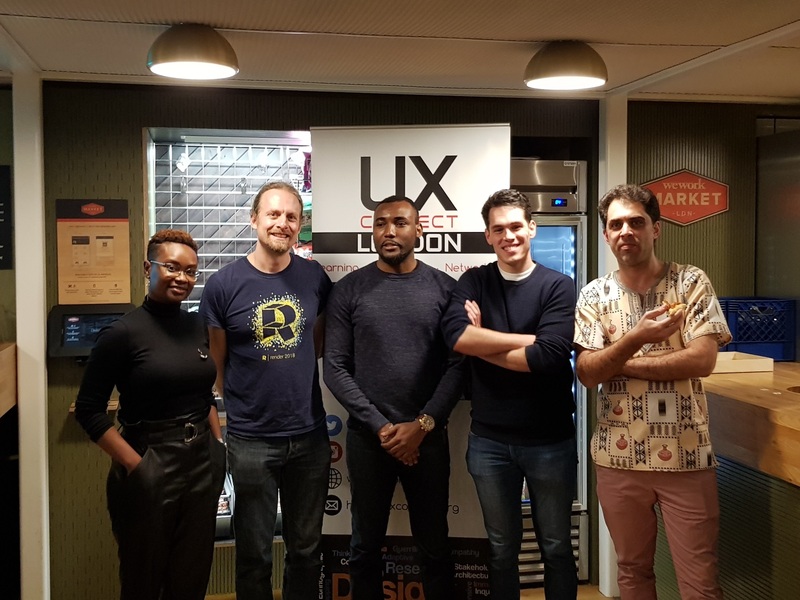 Lola Oyelayo-Pearson is a Product Strategist at Chainspace and a seasoned usability expert who specialises in helping businesses and teams navigate the complex world of digital product development. She's currently focused on the emergent practices of design and research around decentralised services. Lola will be talking about the challenges of identifying the right utilities and the future services for blockchain platforms. Tags: IoT, Chatbots, Digital Assistants, Semantics, Robotic Process Automation, Augmented Reality / AR, Virtual Reality / VR, Artificial Intelligence / AI, 3D, HUDs, Intelligent Apps & APIs, Big Data, Cloud Computing & Integration, Advanced Machine Learning, Blockchains, Drones, Wearables, Service Architecture, Platform-as-a-Service / PaaS. Wanna get paid organizing events with us? Do you want to help imparting knowledge and connecting creatives? Do you want to have fun and raise your profile in the community doing so? Resources are scarce. Time, energy, money, even creative powers, yet we're so hungry to experiment with a wide range of UX networking concepts. 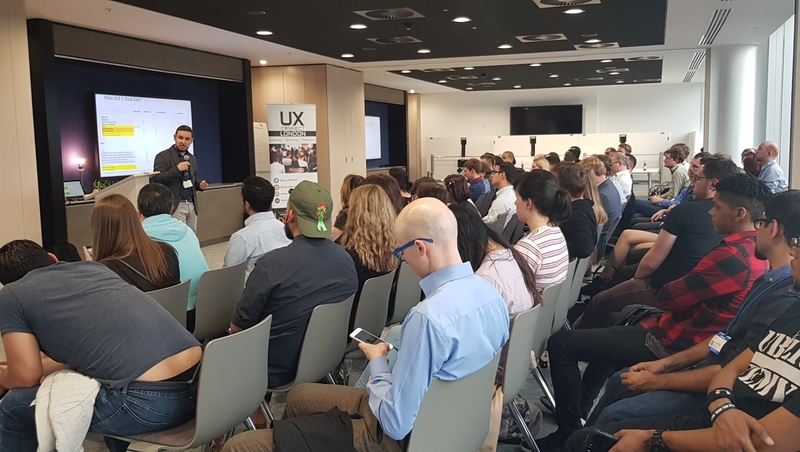 It gives us great pleasure to share our knowledge and provide a platform for other UXers to do more together so we have come up with an associate 50-50 Scheme to get our creative juices flowing, reach out broader and do more faster. 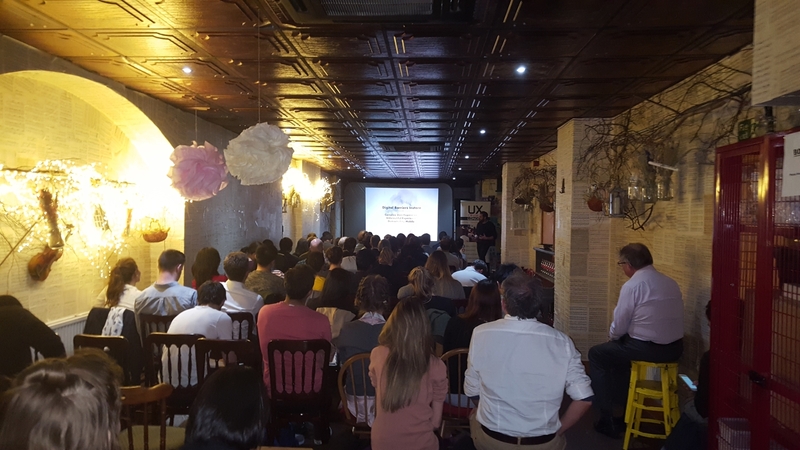 Come up with a creative idea to engage, educate and/or entertain the community, gain an audience size of at least 50 attendees, then get paid up to £1 per head. Do it again, get paid, do it again, become a committee member. As simple as that! 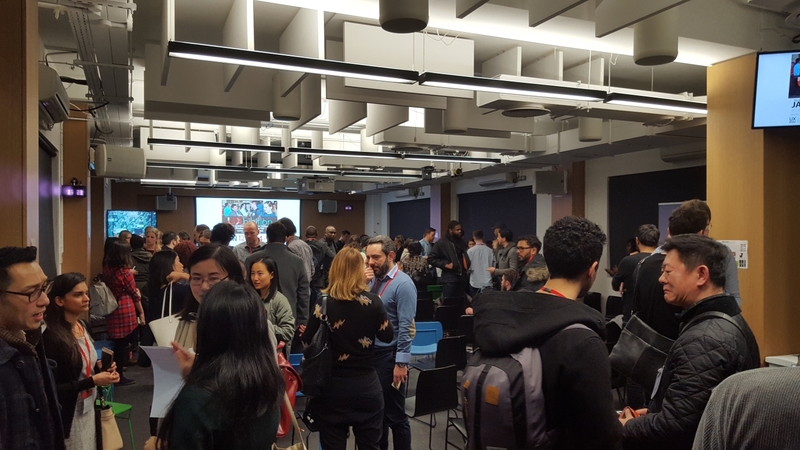 As an associate co-organizer with us, you could earn up to £200 per event or more planning, organizing and hosting an event with our support. Together we can do more as far as our creative powers. OK, so what sort of events or activities? ...and more. Which ones can you imagine yourself organising? Luckily, there is no prerequisite. 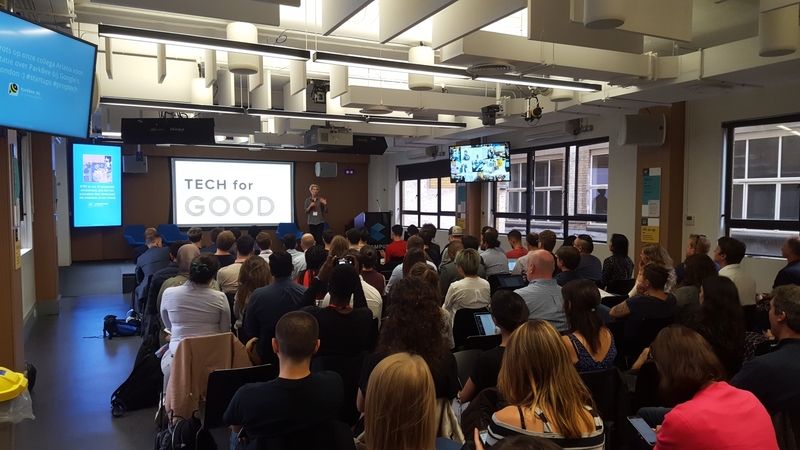 No special qualification or experience is necessary to co-organise an event with us as long as you have a brilliant idea, the passion and drive to facilitate learning and networking in the community. The benefits to you will far outmatch the cash reward we are offering. What else do I stand to gain? Although we cannot guarantee that you will reap all or certain benefits aforementioned by a set period, but we can assure you openness, cooperation and the discipline to work with us and grow. 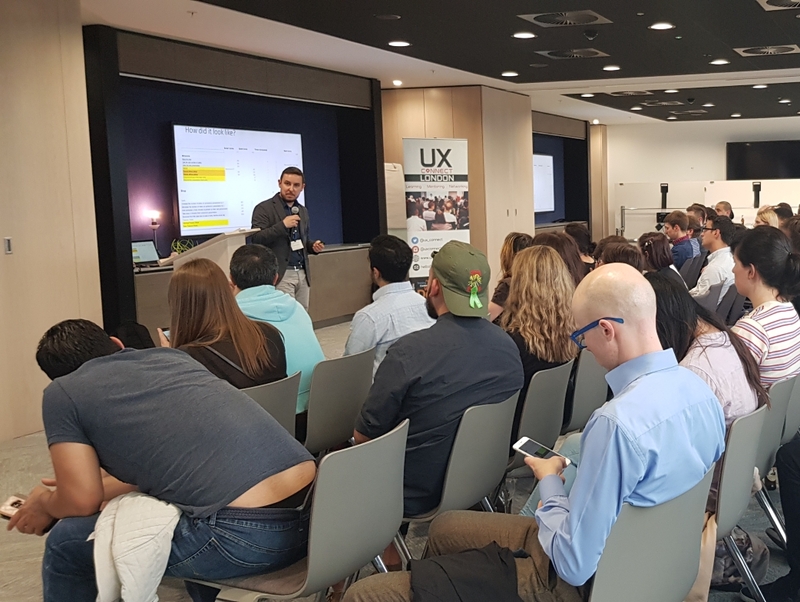 Scanario 1: Tony, a motivational speaker and UX professional organized an event with UX Connect and had 39 guests in attendance. Somehow, someway, the audience wasn't big enough so Tony missed out on the reward. But hey, Tony gained recognition and brand promotion within the community, made new industry contacts and is proud to have supported the community in his own little ways. 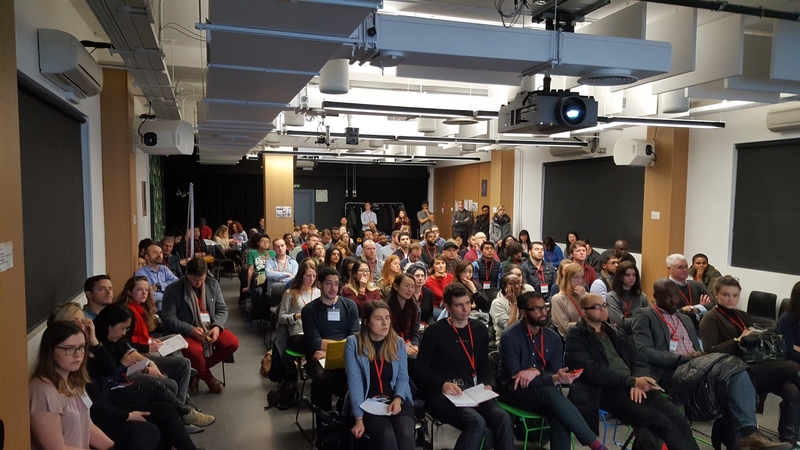 Scenario 2: Sarah, a web designer and UX enthusiast organized a brilliant seminar with the group and had 122 guests in attendance. 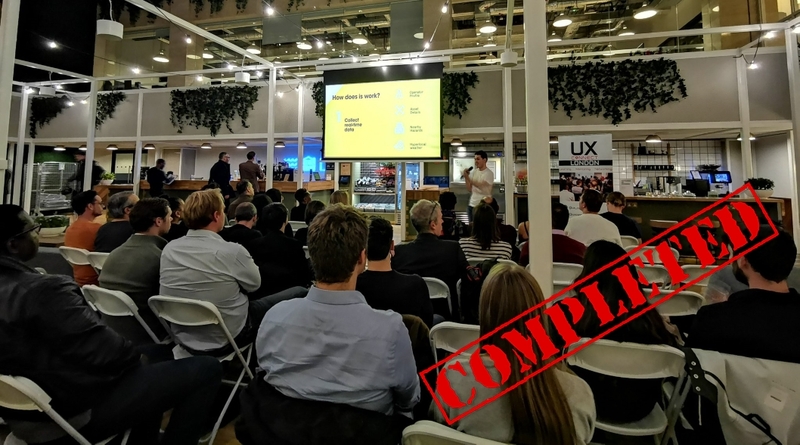 Sarah got paid £122 for the audience size, gained all the benefits there is to gain as highlighted above, she got very pleased with herself thus becoming a proud affiliate of UX Connect London. Worst Case Scenario: If we decided to shelf this scheme and not pursue it any further or there is no one like Tony or Sarah motivated and brave enough to take on the opportunity. Significant or a micro audience size, what's important is DOING. In the end, there is no such thing as failure (especially with UX Connect) but data accumulation. You will have little or nothing to lose albeit the group could have almost everything to lose. We understand this and we're willing to take the risk. There is a big difference between DONE/DID IT and CAN DO/WILL DO which is why we aim to empower you to doing more. So subscribe early to organise your next event with us. What's next after the event? Who pays for the venue and food/drinks/refreshments? Do I have to pay guest speakers an appearance fee? Should I charge a registration fee? How can I know if my suggested topic/theme suits your audience? Do I get to promote my product and/or brand to your audience? 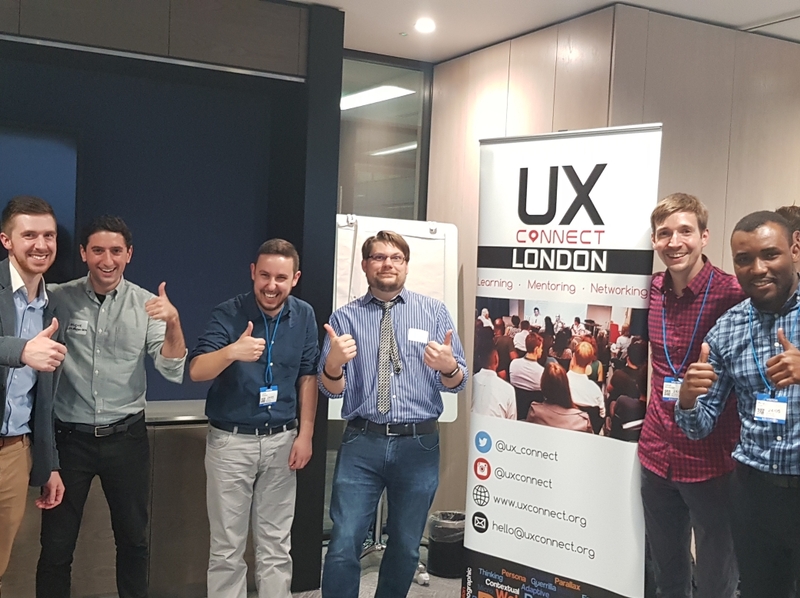 What are the requirements to bring/establish UX Connect to/in my city? Where do I find speakers and how do I invite them? Who pays for my speakers traveling costs? When and how do I claim my reward? If so, don't hesitate to drop us a message via the Contact form and we'd be happy to provide more information. Submit an Event (Business Case) Here.